Sometimes when people describe headaches, they are actually describing facial pain. While there are a number of different types of facial pain syndromes, the most common one is trigeminal neuralgia. Although still rare in occurrence, trigeminal neuralgia affects the trigeminal nerve—a nerve that provides sensation to the face and helps control jaw movement. If you have trigeminal neuralgia, you know better than anyone else, the tremendous, sudden, and electric-shock-like pain this disorder causes. Let's dive a bit deeper into the "why" behind this pain condition, and how it can be treated. The trigeminal nerve is cranial nerve five (out of 12). It sends sensory information to the face and also helps control the muscles of chewing. The branches of the trigeminal nerve most commonly affected in trigeminal neuralgia are the maxillary or mandibular branch. 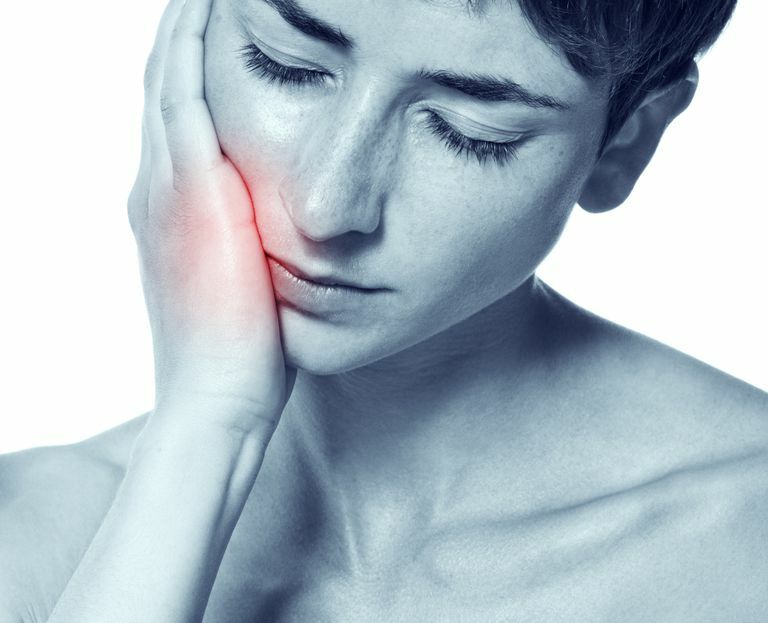 This is why people with trigeminal neuralgia commonly complain of tooth pain and even undergo painful and expensive dental procedures before being correctly diagnosed. While trigeminal neuralgia can occur in both males and females, it is more common in females, and the disorder does not tend to run in families (meaning there is not a strong genetic component). The pain of trigeminal neuralgia comes on abruptly, lasting one to many seconds. The pain is often described as intensely sharp, stabbing, or "electric shock-like." This disorder almost always affects one trigeminal nerve (you have a trigeminal nerve on each side of your face), but it can rarely affect both. Most cases of trigeminal neuralgia are caused by compression of the trigeminal nerve root, usually by an abnormal loop of an artery or vein in the face. Less commonly, compression of the trigeminal nerve may occur from a cyst or tumor, like an acoustic neuroma or meningioma. Inflammation of the nerve, like that which occurs in multiple sclerosis, can also cause trigeminal neuralgia. It's common for certain activities to trigger the attacks of pain. Treatment is usually with an anti-seizure medication called Tegretol (carbamazepine). While often effective, it does carry some potential adverse effects (especially with higher doses, which some people may need over time). Some people develop a low number of white blood cells (infection-fighting cells) on carbamazepine. Rarely, a person may develop aplastic anemia—a disorder that affects your bone marrow where blood cells are produced. In addition, certain individuals, especially people of Asian descent who carry a certain genetic marker, may be at an increased risk of developing a potentially fatal skin disorder called Stevens-Johnson syndrome and/or toxic epidermal necrolysis. If you are of Asian ancestry, your doctor will most likely test you for this gene before prescribing carbamazepine. Your doctor may consider other medications, like Trileptal (oxcarbazepine) which is similar in structure to carbamazepine and may have fewer side effects. If you have pain despite carbamazepine or oxcarbazepine (or cannot take or tolerate one of these drugs), a doctor may prescribe the muscle relaxant, baclofen or another medication called Lamictal (lamotrigine), which is used to treat seizures and bipolar disorder. If you continue to suffer from trigeminal neuralgia despite optimal medical therapy, or if you cannot tolerate the side effects of medications, your neurologist may refer you for surgery. The good news is that there are a number of surgical procedures available. That being said, it's still surgery and carries risks, so requires a careful discussion with your neurologist and surgeon. If you are diagnosed with trigeminal neuralgia, be hopeful and ensure you follow closely with your neurologist. While this neurological disorder may not be able to be cured, you can effectively manage it and move forward with your life. Bajwa ZH, Ho CC, Khan SA. (2018). Trigeminal neuralgia. Shefner JM, Swanson JW, eds. UpToDate. Waltham, MA: UpToDate Inc.